Doan DCJRF has always been committed to delivering the highest level of customer service to Rochester area customers. Therefore, we are proud to accept the prestigious FCA Customer First Award for 2019. This is an honor designated only for dealerships exemplifying extraordinary care and dedication to customers. 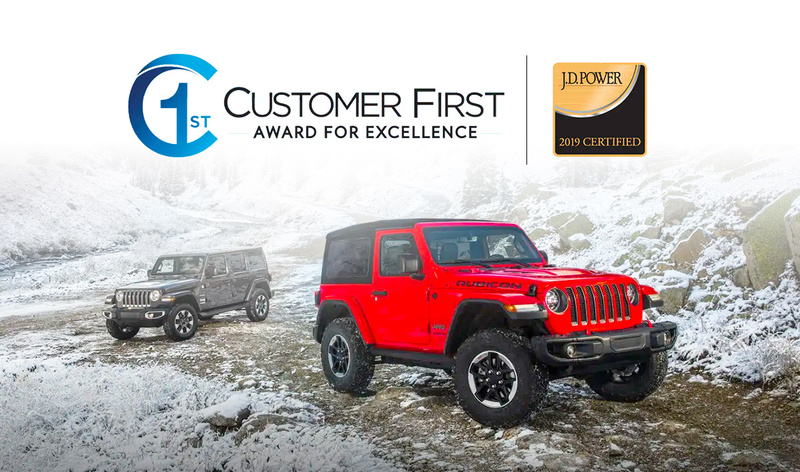 Fiat Chrysler Automobiles first created the prestigious Customer First Award for Excellence with its dealer partners and J.D. Power. The goal of the award is to encourage dealerships to raise customer satisfaction with a specific focus on the sales and service experience, employee training and facility condition. Few dealerships succeed in meeting all the requirements to earn this distinction. We want to extend a special thanks to our amazing family of customers who depend on us for a great car shopping experience. We also want to thank our dealership staff members for working hard to provide the high levels of customer service required to earn this award. We look forward to living up to the standard of excellence that the FCA Customer First Award embodies for many years to come. Here at Doan Dodge Chrysler Jeep RAM Fiat, we always put customers first! If you're interested in learning more about our exceptional service, contact us today or stop by our dealership at 4477 Ridge Rd W, Rochester, NY 14626. We look forward to serving our customers near Spencerport, Hilton and Greece, NY.